If you’ve ever contacted us about one of our studios you’ve probably spoken with Sam. His consummate knowledge of our studios & team means that no matter your project, he will be able to arrange the perfect facility and stage for your project. Aside from being a great guy, what you might not know is that he also has an excellent ear for quality, is a keen DJ, and best of all… is a disco ball aficionado: see The Pool studio. Martha joined the Miloco team as Bookings Assistant in 2016 and has really enjoyed getting stuck in to her first role in the music industry. Friendly and approachable, Martha continues to enjoy getting to know all our clients and ensuring that sessions run as smoothly as possible. Martha has grown up going to gigs and festivals, and this deep-rooted love of live music means she is never happier than when she’s in a muddy field watching a band.. preferably covered in glitter! 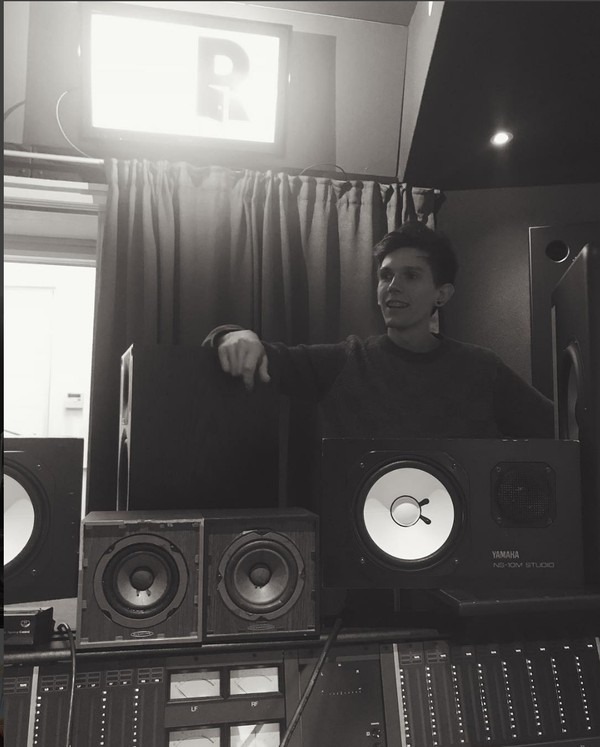 Sam joined the booking team in October 2016, as his first foray into the recording studio industry, having previously worked for Heston Blumenthal in his hometown of Maidenhead. When he’s not co-ordinating studio bookings, Sam enjoys his food, dabbling in a bit of DJing, watching the Arsenal, and spending far too much money on going to gigs and buying records. 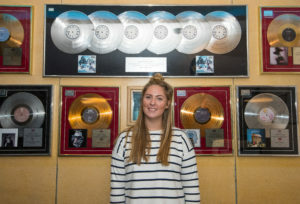 After studying Commercial Music in Bath, Nic went on to Intern for various independent record labels and shortly after secured a Management Assistant position at Z Management. 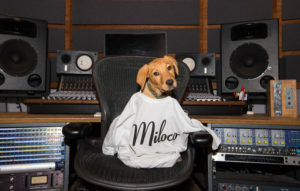 After a year’s experience in Producer and Mix Engineer management he pursued his dream of working for a major recording studio and joined the Miloco team in the September of 2017. When he’s not in a pub garden somewhere; Nic enjoys writing songs, playing his unnecessarily large collection of guitars & keyboards, and diving into the pool (swimming not the studio). Lottie is the newest member of our bookings team after making the jump from her previous home at Cooking Vinyl in West London. Outside of her role in the Miloco office Lottie is also a vocalist and keyboard player, and can be found currently playing with Isler’s ‘The Plastic Mermaids’. We think it’s helpful speaking to people who understand music when looking for the perfect studio. Simon has a natural aptitude for creating sonically lush recordings. Having contributed this to many alternative, independent and major recording artists’ he has garnered a reputation of consistency in helping achieve artists’ visions whilst maintaining their individuality. 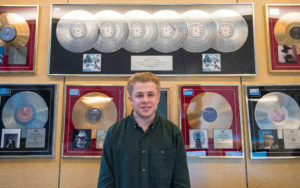 Before relocating to London Simon was the Senior Engineer at Sydney’s Studios 301, working with artists including Kanye West, Elton John, White Shadows and Matt Corby, earning him a series of Gold and Platinum album credits and awards. Since joining us 2017 Simon has become key member of the Miloco team and has recently been appointed our Chief Engineer. His recent highlights include sessions with Coasts, Anne-Marie, Clean Bandit, Paloma Faith, Ghostpoet, Honne, Amanda Palmer, George Ezra, Ghetts and Skepta. 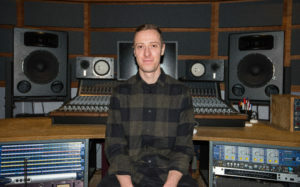 Marcus got his start working under Donald Clark at the SSL mix room Artillery Studios on Brick Lane. As the in-house assistant Marcus learned his craft working with some great engineers, producers, and artists. Now working with Miloco since mid-2016, Marcus brings his experience and enthusiasm to every session. 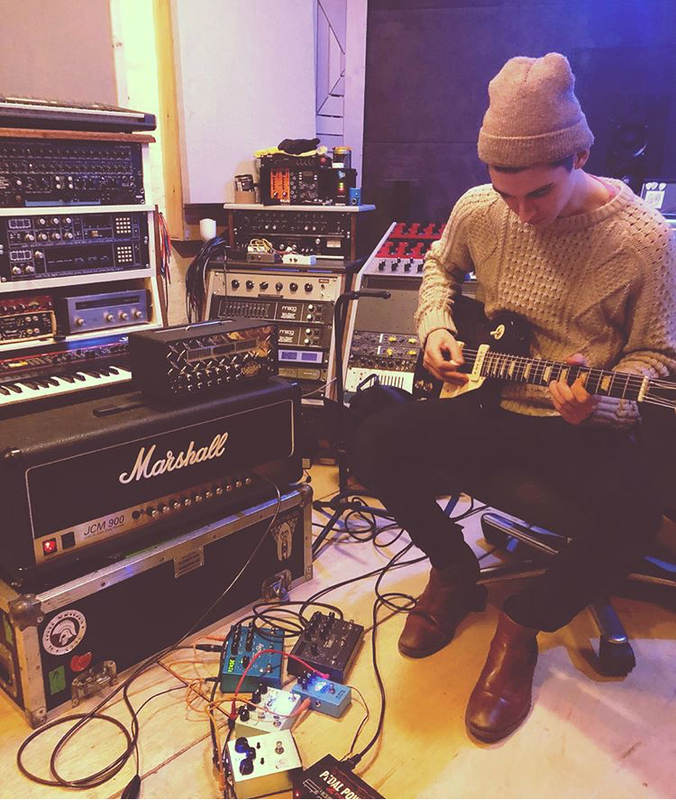 Henri has been passionate about music from an early age, studying it throughout school and going on to persue a degree in Commercial Music during which he discovered his love for music production and recorded as many bands as he could get his hands on! 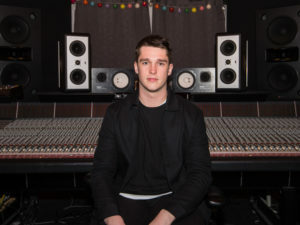 After completing his degree and moving to London in early 2016, he became permanent assistant at Miloco’s Livingston Studio 2 and has worked with many artists, including James Bay and Emeli Sande. 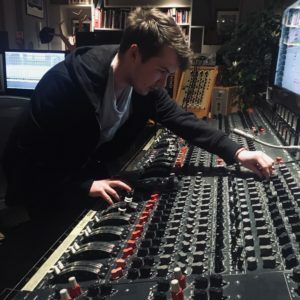 After studying piano and trombone from an early age, Jonny began working in London’s Resident Studios and Musicland Studios to learn the engineering craft before joining Miloco in 2017. Since then, Jonny has worked in many of Miloco’s studios honing his craft with some of the industry’s best producers and engineers. Ben started studio assisting at The Motor Museum in Liverpool following his graduation from LIPA. Since joining Miloco in 2017 he has been busy cutting his teeth across our London studios on a variety of writing, recording and mix sessions. With his continually growing skillset, Ben is committed to engaging with each session enthusiastically. Originally from New Zealand, Claude’s love for recording started when he was 12 years old recording an album for his first band. This led him to study Audio Engineering and Music Production at the Music and Audio Institute of New Zealand (MAINZ). Whilst studying Claude interned at Orange Studios in Christchurch (NZ), before becoming a Studio Operator at RNZ (Radio New Zealand). In Early 2018 Claude relocated to London, joining the Miloco team as an Intern before becoming an Assistant Engineer. 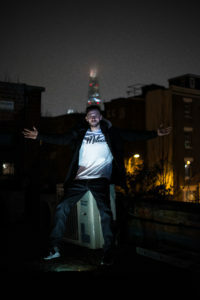 Working at various Miloco studios around London, Claude approaches every session enthusiastically and relishes the opportunity to be able to work and learn from some of the industry’s best producers and engineers. Graeme is the Technical Manager at Miloco. 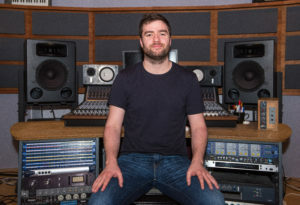 Mid-way through his degree in Music and Electrical Engineering at the University of Leeds he started his studio career as an assistant engineer at Pro 2 Studios back in 2007. 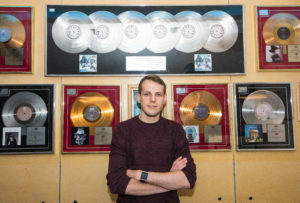 From there he rose through the ranks to engineer, then after completing his degree he moved to London to form a studio booking company and work as a mastering engineer before being picked up by Miloco as Studio Coordinator in 2011. Over the past 12 years Graeme has experienced (and solved) all manner of recording studio-related catastrophes, making him perfectly placed to take care of Miloco’s incredible roster of studios. 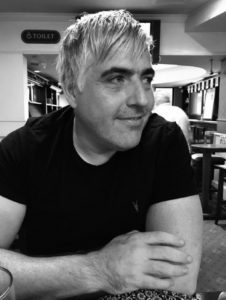 Originally hailing form Dublin and now a resident of Hove (actually) for over 16 years, Miloco Gear MD Robbie Dunne has a long and successful history in the music industry. His obsession with the record making process from an early age lead his his vast experiences as a session musician, producer, engineer, studio owner, educator to gear sales. He prides himself on always going the extra mile for his clients, finding the best deals and advising what will be the best solution not the most expensive. An avid gear collector, just don’t get him chatting about guitar pedals, as you might be there all day. Pete has been with Miloco from it’s very beginnings in Hoxton Square. Our Original Chief Engineer and Current MD of Miloco Builds Pete is a rare talent who is as comfortable mixing great sounding records as he is designing and building the rooms they are created in. 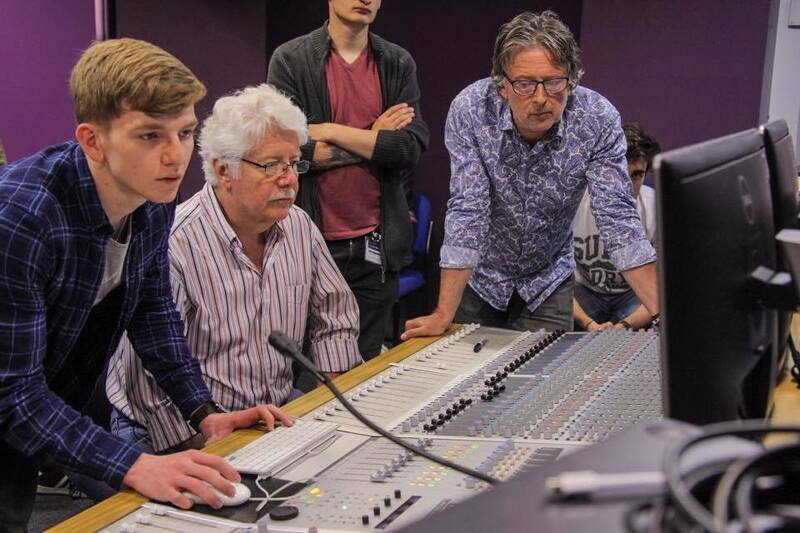 As a Mix engineer and producer he has worked with artists including New Order, Erasure, Will Young, Patrick Wolf, Sophie Ellis Bextor, Belle & Sebastian, Kylie Minogue, MIA, Alphabeat and the Pet Shop Boys to name just a few. This experience has given Pete the unique knowledge to know what’s important in building a great studio and brings real world experience to our team. Some of the studios Pete & Miloco Builds have designed and installed include Paul Epworth’s The Church studios, The Pool, Livingston as well Bastille & Mark Crew’s private London studio One Eyed Jacks. Pete has been and continues to be integral to our success and is an invaluable member of the Miloco family. 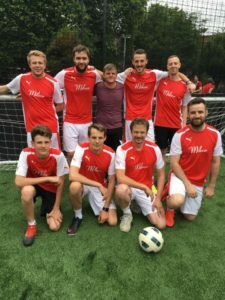 Jamie began his career in the City of London after graduating from Business School in 2010 with a 2:1 degree in Business Economics. He started in a entry-level position in the trading floor of a boutique currency brokerage in Liverpool Street, before rising through the ranks and eventually being headhunted by a larger firm based in Mayfair, where he went on to become the Head of the Corporate 360 trading team, their Chief Currency Strategist and in 2016, their ‘International Employee of The Year’. Having worked on Milo financials since A-level business studies and having been a director since 2015, Jamie resigned from his position in the city in June 2017 and hasn’t looked back. 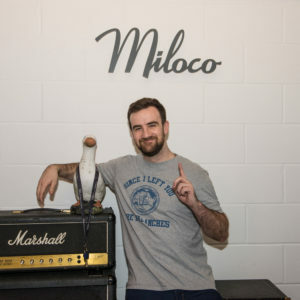 Georgie has been part of the Miloco team since first moving to the UK from Australia in 2015. 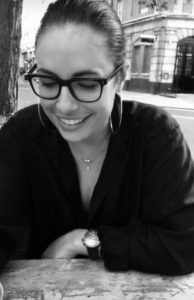 Transitioning from her role as Miloco’s full time Digital Marketing Manager, Georgie now acts as our Social Media Manager, looking after our socials and strategy on a freelance basis. 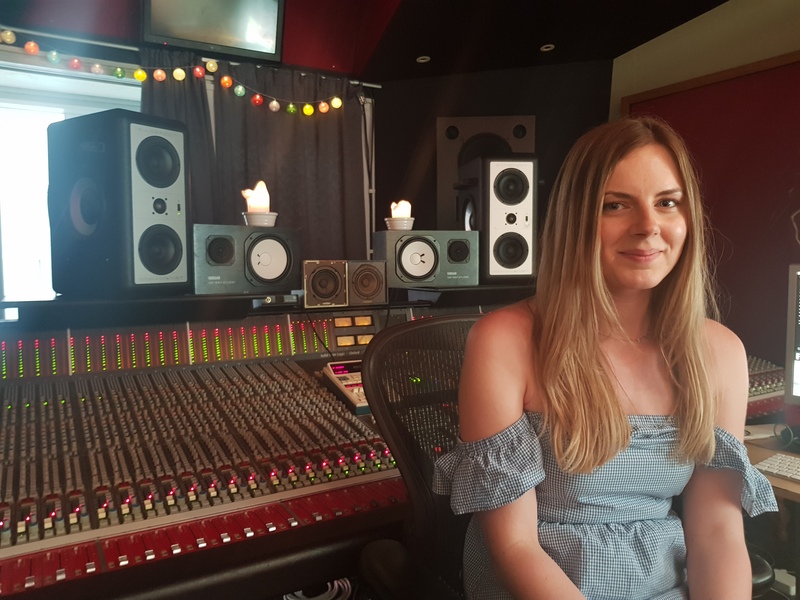 With over seven years’ experience in the music industry with roles ranging from PR/Publicity to A&R, content, and social media, Georgie brings a wealth of experience working for boutique companies to major labels both in the UK and Australia. When she isn’t working one of her multiple jobs you can find Georgie indulging in hip-hop, red wine (Australian, of course) and telling bad cheese puns to anyone who will listen. Prince is completely useless to be honest. He has no studio experience, and can’t operate a telephone. He is however a big hit with the clients, and accepts payment in dog food and pats.